Place 1 quart canola oil in deep 8- to 10-inch-wide saucepan. Heat oil to 380°F on candy/deep-fry thermometer. Separate 1 can Pillsbury™ Grands!™ Flaky Layers refrigerated buttermilk biscuits into 8 biscuits. Roll out each until 5 to 6 inches long. Cut 4 toaster pastries from 1 box (11.5 oz) Pillsbury™ Toaster Strudel™ cream cheese and strawberry toaster pastries in half lengthwise. 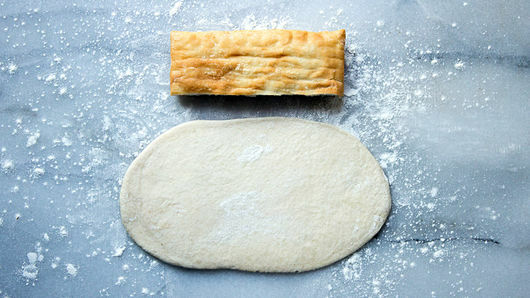 Place half pastry lengthwise on each rolled-out biscuit. 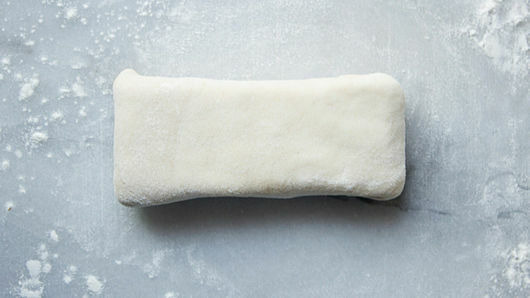 Fold dough over toaster pastry; pinch. Bring in sides of dough as if you we are wrapping a present; pinch again to seal. Gently drop 1 dough-wrapped toaster pastry into hot oil; cook 1 minute. 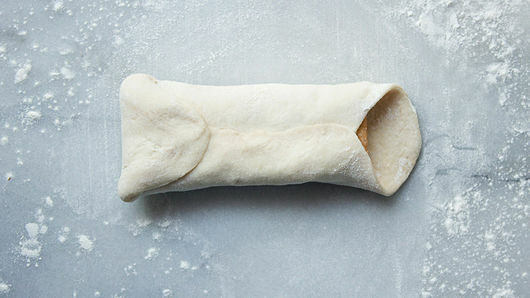 Use tongs to turn pastry over; cook 1 minute longer. Remove from oil; drain on paper towels. 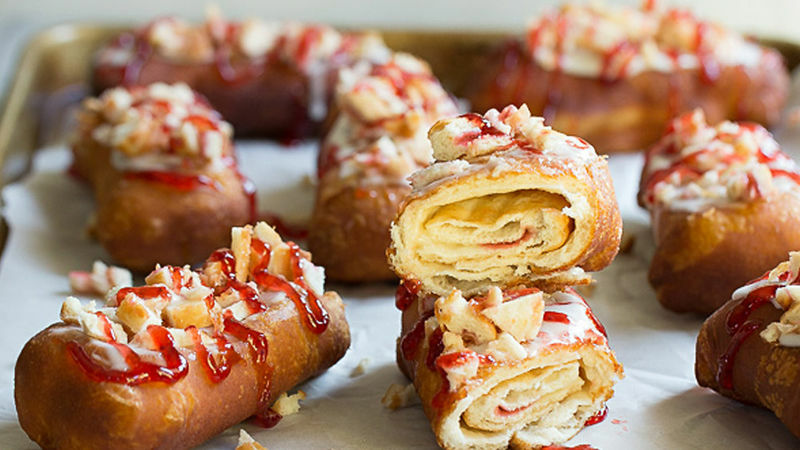 Repeat with remaining dough-wrapped toaster pastries. Cool. Empty icing packets from toaster pastries into small bowl. Use butter knife to spread some of the icing over top of each doughnut. Toast remaining 2 toaster pastries until brown and crispy. Coarsely chop; sprinkle over tops of iced doughnuts. Place jelly in small resealable food-storage plastic bag; cut off 1 tiny bottom corner of bag. 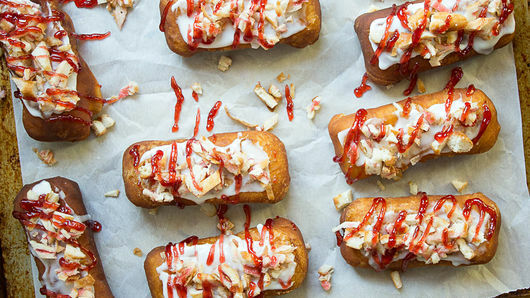 Pipe jelly over tops of each doughnut. Serve immediately. You can change to any other flavor of Pillsbury™ Toaster Strudel™. Use a good draining spoon or metal tongs to get the doughnuts out of the hot oil. Make sure the icing packets are at room temperature before spreading.